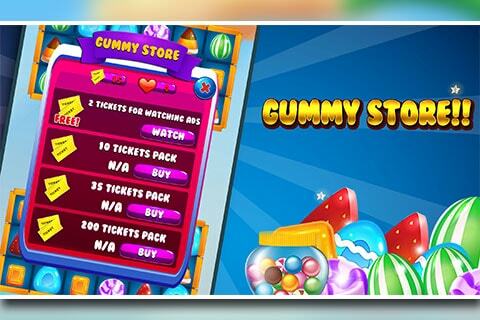 Gummy Pop is the best Match 3 Game Engine, it is open source code match 3 game engine with lots of Game Engine Features such as Global Settings Editor, Powerful Level Editor, Rules editor, IAP purchases, Localization, Push notification, Daily rewards, Facebook Profile and Share features. You can add as many new levels as you want, project is fully documented with how to use Level editor. 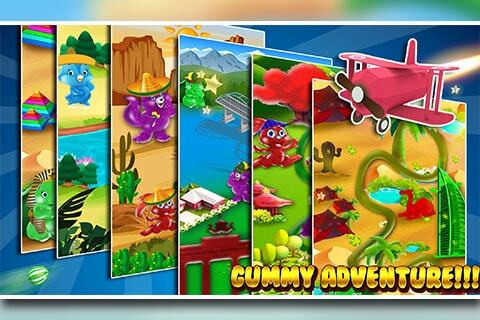 Gummy Pop has 250 highly addicting Levels going through a World Map containing all 5 continents. Game has powerful Level editor, import/export of levels into individual files. Great Monetization of the Game through Top Advertising Channels Admob, Chartboost, Unity & StartApp with both Interstitials & Unity video ads. 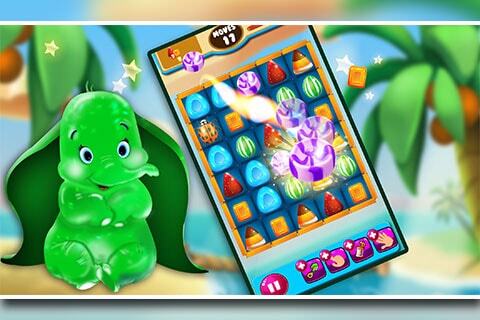 A Powerful engine to create amazing match 3 games, we also created amazing graphics so you could create your game too with high quality graphics for making it a Super Hit on App Store. Go through the detail of features listed below. 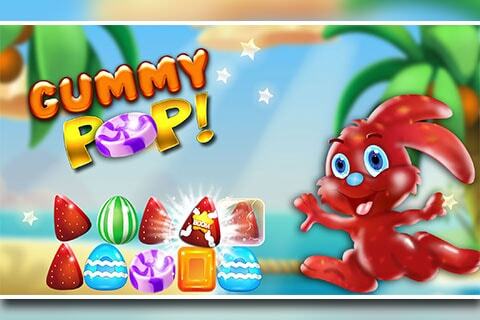 250 Beautifully Designed Levels & 5 Continents spread over an amazing Map similar to Top Chart Game Gummy Drop! 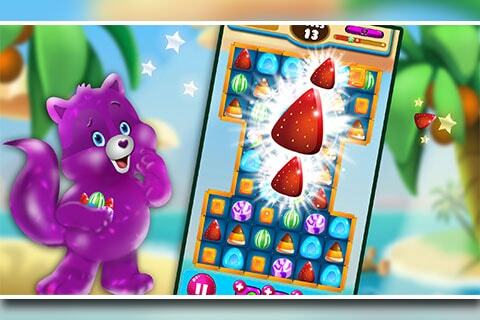 Easy & Beautiful World Map : Select your Country from the World Globe and then select level to play, this regions listing through World Globe is done same as in Original Gummy Drop. Advertising Networks – Game has built in advertising networks StartApp, Admob, Chartboost & UnityAds. It has both Rewarded Video Ads & Interstitial Ads integrated. Get reward on watching Video ads. Entire gameplay is well monetized for making money from Ads & IAPs. IAP System: Game has a great IAP purchases system and in game store/shop to buy virtual goods/items of the game with real money. Localization: You can easily add more languages in the game as localization system is already in place. 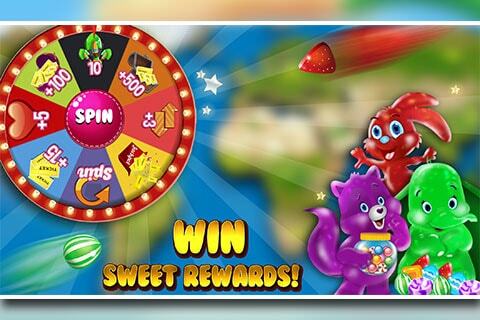 Daily Rewards : Gummy Pop has a wheel of fortune too in the game, Spin this fortune wheel to win a random prize daily. You can spin this wheel once in 24 hours. Player can also buy this item as IAP from store if he wants to get extra Spin Wheel options in a day. Facebook Sharing: Player can share his score on Facebook Profile with his friends. Push Notification Players gets regular notification to start playing game again, each time your lives get refilled you get a notification on your device. This notification helps players to play this game on daily basis and increases active users on your game. Life of Player or Lives With every passing level you play, player life reduces but when you stop playing and quit game your life energy increases & gain 100% energy with the passage of time although players can also buy lives from Shop as IAP but we have this option in game to increase players retention to the game. Players can also win free live a day through Reward System Wheel of Fortune. Facebook Leaderboard : Score high for a level to become leader of that level, compete with your facebook friends as well as with bot users added in Gummy Pop Match 3 Engine.